The Laguna Seca race track is the site of the annual Rolex Monterey Motorsports Reunion, the event that features an eclectic mix of race cars, focusing on a different marque each year. 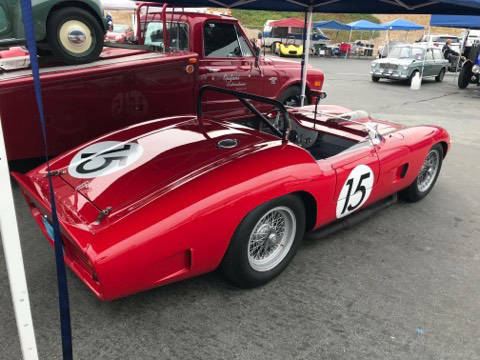 Along with the Goodwood Festival in England, the Motorsports Reunion is thought of as one of the premiere historic racing events in the world, with impressive levels of attendance. While Mazda provided previous sponsorship for the event for a number of years, this year the track's primary corporate sponsor was WeatherTech - which took over in April of this year; As part of the sponsorship, the track is now officially referred to as the "WeatherTech Raceway Laguna Seca." 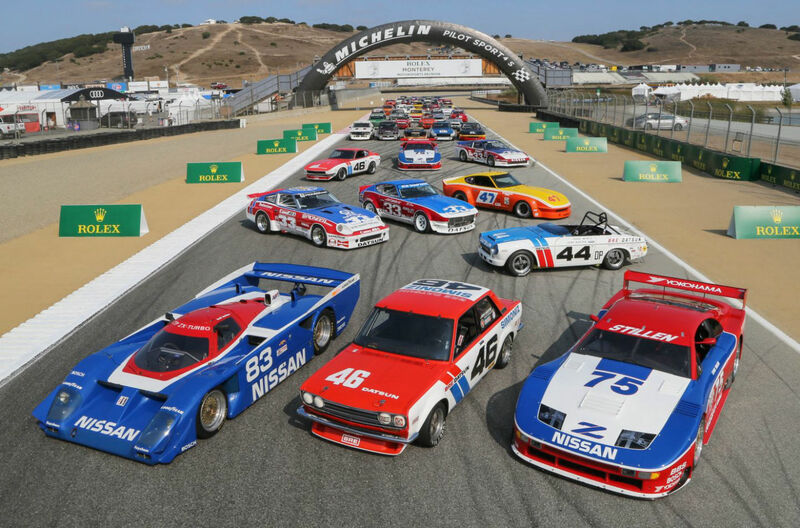 Nissan’s incredible 50 years of motorsport success in the United States were celebrated with Nissan taking center stage as the featured marque of this Rolex Monterey Motorsports Reunion, the first Asian automobile manufacturer to receive such a spotlight. 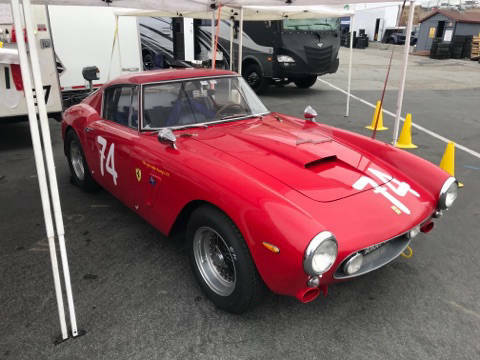 With more than 200 IMSA sports car victories and 100-plus SCCA National Championships, many of the stars and the cars of Nissan’s past racing success were racing or on display at the highlight of Monterey Classic Car Week. 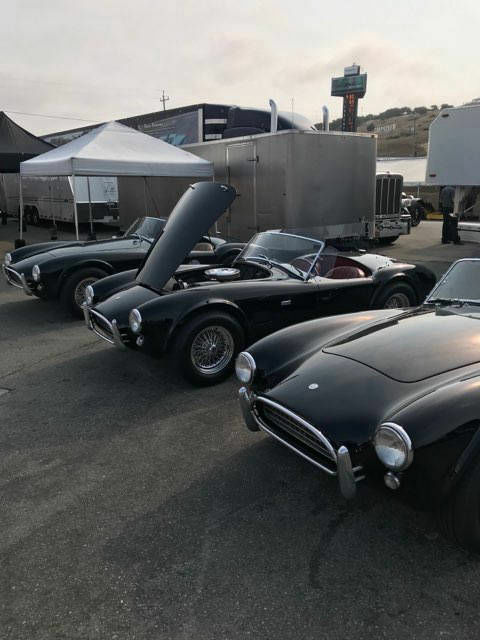 More than 50 of the 551 total participants selected out of over 1,000 applicants based on authenticity and race provenance were attributed to the Nissan and Datsun brands. Championship-winning Nissan and Datsun legends including John Morton, Peter Brock and Steve Millen attended this year’s event and took part in various activities including the Murray Smith-hosted Picnic in the Paddock panel on Saturday and being special guests on Adam Carolla’s “Car Cast” podcast recorded at the Nissan display. 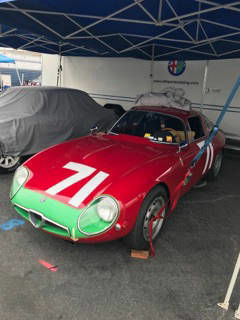 Comedian and actor Carolla also participated in the event. The Los Angeles-based comic owns the largest collection of Nissan and Datsun cars formerly raced by acting and racing legend Paul Newman. 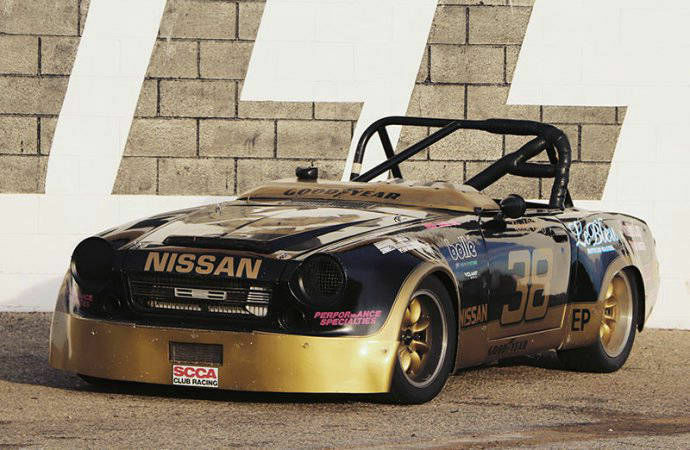 Along with celebrating the past, Nissan had the season five ABB FIA Formula E car on display along with the recently revealed Nissan GT-R50 by Italdesign. 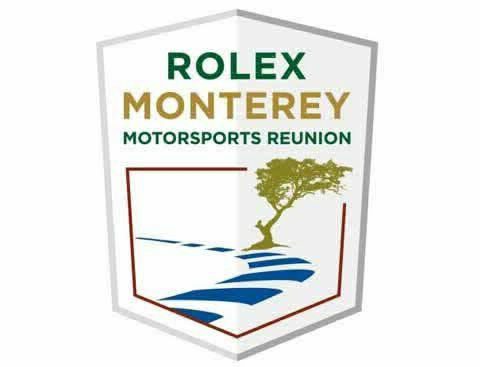 Other Original Equipment Manufacturers (OEMs) relished the opportunity to use the Rolex Monterey Motorsports Reunion as a platform to showcase their latest creations. The world premiere of the 2019 Audi PB 18 e-tron took place amid a crowd of international journalists gathered at the Paddock Stage presented by Audi on Thursday, August 23. 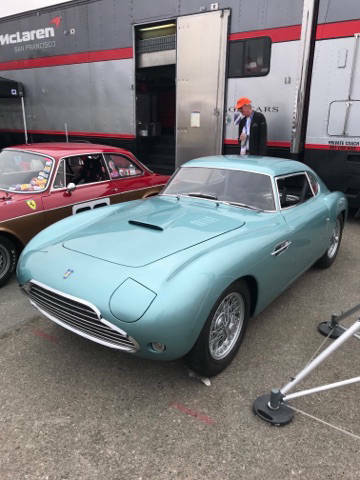 The following day, Ford unveiled the 2019 Ford GT Heritage Edition on the same stage and displayed it next to the famous Le Mans-winning Gulf Oil car with the same livery. 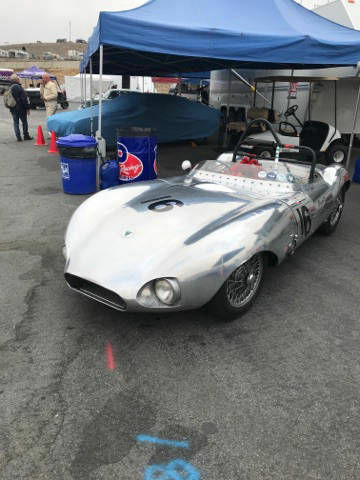 Racing personalities make the event as well as the cars. 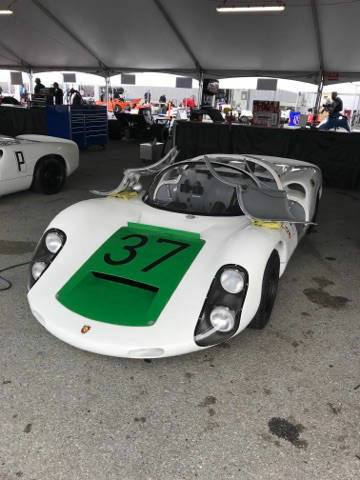 Late American racing legend Dan Gurney was honored in a touching tribute on the Showcase Stage on Saturday with Sir Jackie Stewart and Chris Cord sharing stories with Smith and Donald Osborne closing with a poignant musical rendition. 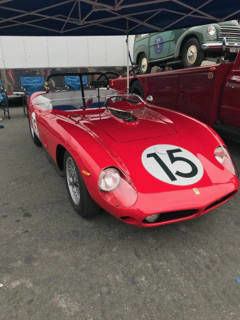 One of Gurney’s original Lola cars was on display throughout the event in the first two pit bays. 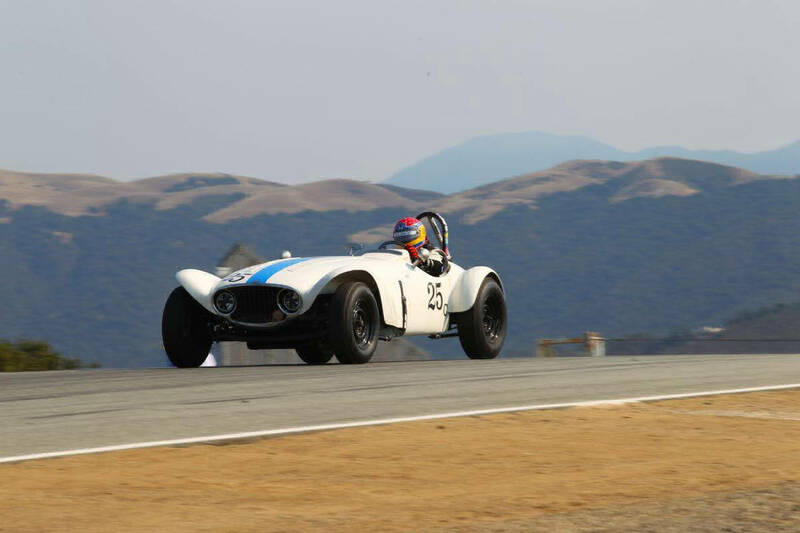 15 race groupings competed during the course of the events with cars ranging in age from a 1911 National Speedway Roadster in Group 1A to a 1995 Nissan 240SX in Group 7B.